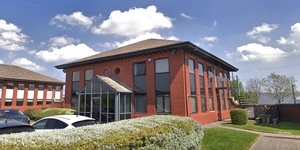 Elm Court is situated in an established industrial location off Newbridge Road in Ellesmere POrt. Ellesmere Port is a large town and port in Cheshire, south of the Wirral on the banks of the Manchester Ship Canal. 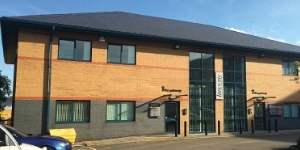 Ellesmere Port is located near the interchange of the M56 and the M53 motorways, and Elm Court provides excellent transport links with J10 of the M53 2 minutes away and Junction 9 only 4 minutes drive away, via Oil Sites Road. The M53 provides direct access to Chester and the Wirral as well as the M56 and the northwest's wider motorway network and beyond. The schemeis an ideal base from which to service North Wales, Cheshire, Merseyside and the wider north west region. 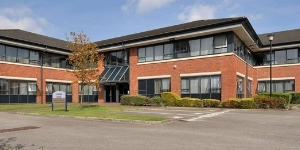 The businesses at Elm Court benefit from good nearby amenities with Cheshire Oaks Designer outlet village and The Coliseum Retail Park only 2 miles away. There are a range of shops including Boots, Next Clearance, and Debenhams, as well as a vast array of eateries from Wagamama, Burger King, Cafe Rouge and Starbucks. There is also a Sainsbury's Supermarket, Vue Cinecma, and the Blue Planet Aquarium nearby. 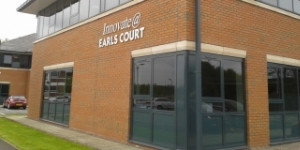 Elm Court was developed in 2009 and provides a range of modern workshop / trade counter units from 1,096 - 2,783 sq ft (units can be combined subject to availability). Totalling 30,945 sq ft, the 18 units are split into 4 terraced blocks set within a secure fenced site with gated entrance and CCTV. 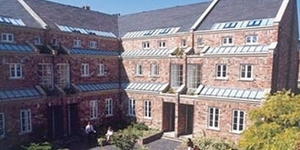 The two adjacent blocks facing each other across a central courtyard, which provides good parking provision and circulation space. The units have been constructed to a high specification and offer 4m to underside of haunch, with overhead sectional loading doors and 37.5kn/m2 floor loading. The estate also benefits from a three phase electricity supply. The EPC ratings on the avaliable units range from C72 - D92. Copies of the individual EPC's are available on request.